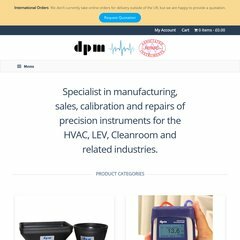 Topics: Servicing & Repairs, Accessories / Spares, Balometers, Dpm Air Balancing Kits, Dpm Test Sets, and Micromanometers. Its IP Number is 83.223.120.136. Its 2 nameservers are ns2.heartinternet.co.uk, and ns.heartinternet.co.uk. Oxlink Ltd (England, Hempstead) is the location of the Apache/2 server.